Aizawl, Nov 8 : Party elders has sidelined youth leadership with geriatric candidates getting preference over the youth. Across party lines, youth leaders, who had been earmarked as candidates, have lost out during last minute string-pulling spilling discontent among the young rank and file of all the major political parties in Mizoram. Eleven candidates in the 2013 fray including some from the ruling Indian National Congress (INC), were candidates in the general elections in 1972 when Mizoram was still a Union Territory. 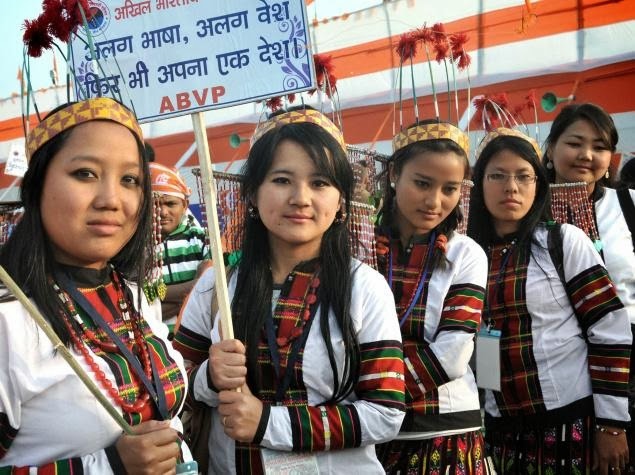 As polling day for the 40 member State Assembly draws near, the Mizoram People’s Conference (MPC), a party nurtured by the legendary Brig T Sailo, got a jolt when leaders of its youth wing resigned enmasse protesting the denial of candidature to the president of the youth wing. “Not only did they ignore our request, the party leaders have sold out to other parties just to satisfy the ambitions of a few of the party leaders who only want to become MLAs,” said C Lalliankhuma, vice president of the MPC. Flanked by about eight of his youth wing party men, he blasted the party leaders for forging an alliance with the Mizo National Front (MNF) and drowning out all future hopes for the party which had been nurtured by Brig T Sailo, he said. “By agreeing to enslave themselves to the MNF, which has allowed them only eight seats, and even snatched away our leader, Brig Sailo’s constituency, our party leaders have rung the death knell of our party. We do not see any hope for the MPC in the future and this is why we are leaving it enmasse”, he said. The MPC has joined the MNF in a pre-poll alliance going under the Mizo Democratic Alliance umbrella. In the MNF camp, the fact that youth wing president, P C Laltlansanga failed to figure in the list of candidates, has raised a sliver of anger in the younger ranks, but the party leaders seem to have managed to cool down frayed tempers. It was a foregone conclusion that Laltlansanga would get a seat as his name had already been unofficially announced several months back which had kept the youth leader busy nurturing his constituency. “He has spent time and money in the field and now they refuse to give him a seat. Had it not been for his campaigning on various issues in the past year, the MNF would not have had any presence in the State. And now this rejection, what a disappointment!” said a supporter. In a similar vein, the Mizoram Youth Congress president, C Lalawmpuii fell from grace at the last minute. A sure shot candidate, being the leader of the youth wing, dynamic and highly vocal and a woman to boot, which would have made it a politically correct choice in this day and age, the geriatric Mizoram Pradesh Congress leadership seem to have given the chance to throw up fresh leadership the go by. “From all this we can see that the political parties are still living in the past and wooing the electorate with the same old men who have ruled us for decades,” said a youngster. Across party lines, youthful politicians have sympathised with each other on this issue.